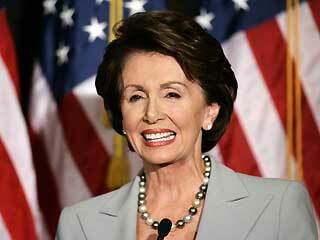 The speaker of the House, Nancy Pelosi, takes a personal fight against the president of America, Donald Trump. She doesn’t want to negotiate the shutdown. She doesn’t go for policy but leads a public battle against the Republicans and President Trump. Nancy Pelosi took the extraordinary step of urging President Trump to delay his State of the Union address until the partial government shutdown ends, or submit the address in writing. She wrote that it was too dangerous for him to give the State of the Union speech. And saying she didn’t want him telling his lies and distortions in the House. But Pelosi, never spoke to security, in fact every day Congress is in session, nobody’s been shut down for lack of security. Never in the history of the US a Speaker of the House refused the president to give a State of the Union address. The president has been slated to deliver his televised annual address to a Joint Session of Congress on Jan. 29. But with no compromise in sight to resolve the standoff over government funding, a stalemate that extended into its 30th day, with the impact deepening for federal workers and others. In the meantime, Trump offered a compromise to reopen the government: There will be no concrete wall, only steel slat barriers; $5.7 billion for it; $805 million for drug detection technology; $800 million for humanitarian assistance; almost 3,000 additional border patrol agents; 75 new immigration judges; and a three-year extension for TPS and DACA. And the president described in clear language the human crisis ranging from 300 of our children dying every week from heroin, 90 percent of which comes through those porous Mexican borders. Young people now can seek asylum in their country without traveling with dangerous human traffickers. He talked about what many already knew: that parents have to give their teen daughters birth control pills knowing many will be raped along this dangerous journey. And the knee-jerk reactions came in. Nancy Pelosi calls the president's proposals unacceptable and said, “What is original in the president’s proposal is not good. What is good in his proposal is not original. Chuck Schumer called it one-sided and ineffective. Democrats are dug in to the theater of lies and hate, casting Donald Trump as evil while casting themselves as angels, supported by a mainstream media intent on publishing any anti-Trump story, often baseless or absurd. Traditional journalistic standards are outfooted. And of course, not one to be cowed, the president pulls Pelosi off a government bus 30 minutes before her trip to Europe. Question to Pelosi: “What were the purpose you doing boarding a bus with your Democrat friends on the way to Brussels to meet with NATO leaders? There is a partial government shutdown. How can she negotiate a way out of a stalemate while she’s on a seven-day European excursion?